Wouldn't you agree that this world we're living in is moving faster and faster around us each and every day? With that being said, I thought I'd take a moment to settle down briefly and pin point FIVE things I'm currently loving...RIGHT. AT. THIS. MOMENT, my "FAV FIVE" if you will! This'll range from all aspects of my life! I'd LOVE to keep this little segment up, but you know me, sometimes I get a BIT sidetracked! So what do you say, shall we kick this thang off?! OMGAAAAHHHH!!! So! 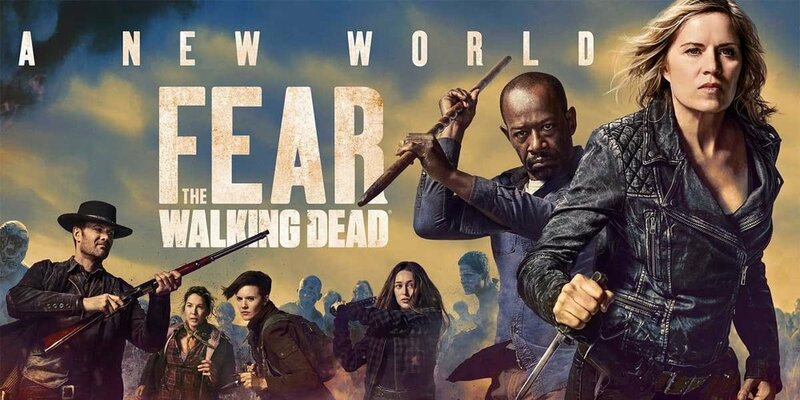 On Sunday, Walking Dead had it's season eight finale which they did a FABULOUS crossover episode with the season four premiere of Fear the Walking Dead and I am BEYOND excited for what's to come! So, to give you a quick backstory, season one of FTWD premiered back in 2015 and I thought it was a very interesting idea for a "prequel" (which is what they were calling it at the time), to The Walking Dead. I watched the first season...liked it, but just didn't really feel that NEED to keep watching right away. So, I took a break, then... for some odd reason I got back on the bandwagon HARD and binged the HECK out of season two and three because I just couldn't get enough! I honestly thought about that show all day, dreamt about it, I don't know, there was just something different about THIS show and the writing compared to The Walking Dead that I enjoyed a lot more. So fast forward to this last Sunday, I re-watched the finale of Fear to get me pumped, then... finally, it was showtime! I was so incredibly impressed with the premiere! So stoked for all the new characters to join - we've got alums from The Mindy Project, Dharma & Greg and Lost joining this season so that's going to be super fun and there are new show-runners, so it's gonna be a whole new ballgame! The best thing about this show is that you don't have to have watched The Walking Dead to know what's going on in Fear. So with that being said, you should definitely go binge this baby ASAP! You won't regret it...unless you hate zombies! Did you guys KNOW this!?! So, I just recently finished/binged season two of Master of None, which was EVERYTHING and after, I meandered on over to Aziz's Instagram page and looked at his lastest post and saw that he hadn't posted since August 2017, so I thought to myself, what happened? This is so unlike him! (like I know! lol) Then...I saw a linky link in his profile and it was to THIS article, so I began reading. Here I learned that he now lives in Paris, literally QUIT the internet, like actually deleted the internet from his phone, deleted Twitter, Instagram AND his e-mail. WHAT!? How is anyone surviving one might ask!? In this article, which I highly recommend you all read, he made an interesting statement that basically we're all on these platforms just to "see a new thing" and that it's not actually about the content, and then you get addicted to that feeling. It's true because I can't tell you HOW many times I catch myself, especially on Instagram, scrolling MINDLESSLY until I see something new or something that catches my eye, which goes to show that it's not really about the content. Another interesting point he made had to to with season three of Master of None. The interviewer asked if he had started working on writing it and Aziz basically told him that he hasn't been inspired to write it yet and that he's not just going to write just because people are expecting another season. I think that's very smart as a writer because it shows that he cares about HIS time and his creativity as well as the viewers time. Having now read this article, it definitely opened my eyes up to be more self-aware when it comes to "THE INTERNET" or social media. My new goal is to open my eyes up to content and not just something new. Ya'll know I love to cook, but most importantly I love to EAT!!!! I bought this book a few months ago and have finally jumped in full force! 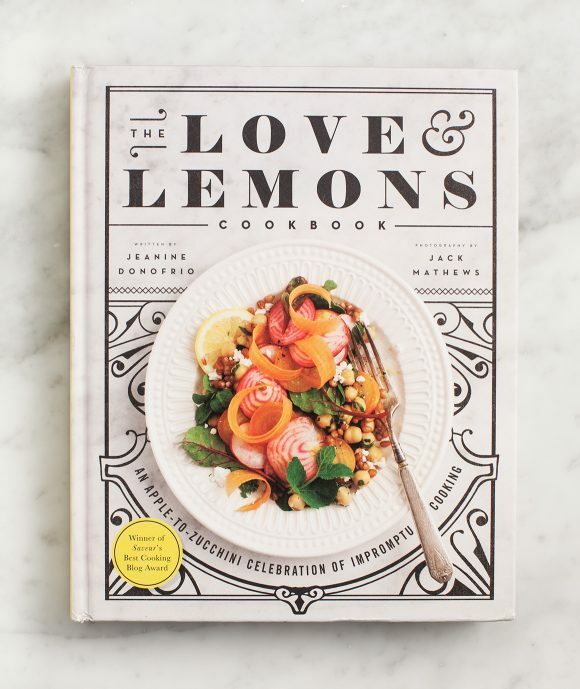 When I first started flipping through the book, I realized it was a full vegetarian cookbook, which is AB-FAB <-- Absolutely Fabulous, duh!, except a girl needs some meat every now and then. So what I decided to do was use some of these recipes as a base and simply add some chicken or fish to them! It's so easy to adapt ANY recipe to your household or tastebuds and it really allows yourself to be creative in the kitchen. Something that I especially love about this book are all the recipes for so many fabulous fresh sauces! I made the most INCREDIBLE mint-pea-pistachio pesto earlier this week that completely changed my game! It was so easy, fresh and SO DANG DELICIOUS!!! Go buy this book and explore all the beautiful fruits and vegetables we have available to us, especially if you live in California! If you feel like adding some extra protein, get crazy, grill up some Chicken...it works! Don't get me wrong, I still LOVE our Pearlizer <---(page 20), BUT I recently came across this magical jelly highlighter and I had the urge to try it out and....I LOVED IT! I meeeeeean, sometimes you just gotta follow your heart's desires, and when your heart screams jelly beam, you better believe I'm gonna run wild! Ok, let me explain what the heck this stuff is. 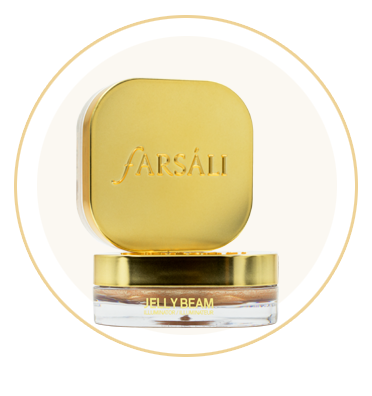 It's literally the most highlightery highligher in all the land made into a jelly form and when you put it on it gives you the instant glow of your DREAMS! How did I discover it? Well... I was casually insta-stalking Farah Dhukai's Instagram and started obsessively watching her videos and I noticed she kept applying this highlighter and I just couldn't look away. Then I clicked on the profile of the highlighter and started deep diving on that page, turns OUT, the guy that created it IS HER HUSBAND!!!!!!!! I meeeean, what a small world, or not, but you know, when you do some digging you figure it all out! SO, I decided to try it out and I LOVE IT! I channel my inner Farah every time I swipe it on and just let it GLOOOOWWWW!!! I'm Armenian. What can I say, my tummy automatically swoons towards hummus. Let's be real, I could probably bathe in it, I LURRRRRVE IT! So when I passed by this little pouch of heaven in the bean aisle while grocery shopping, I just KNEW I had to try it! Over the weekend I had an impromptu urge to give it a go - so I pulled out my can of Bush's Garbanzo Beans and this little glorious pouch, threw them both into my Vitamix and blended away! 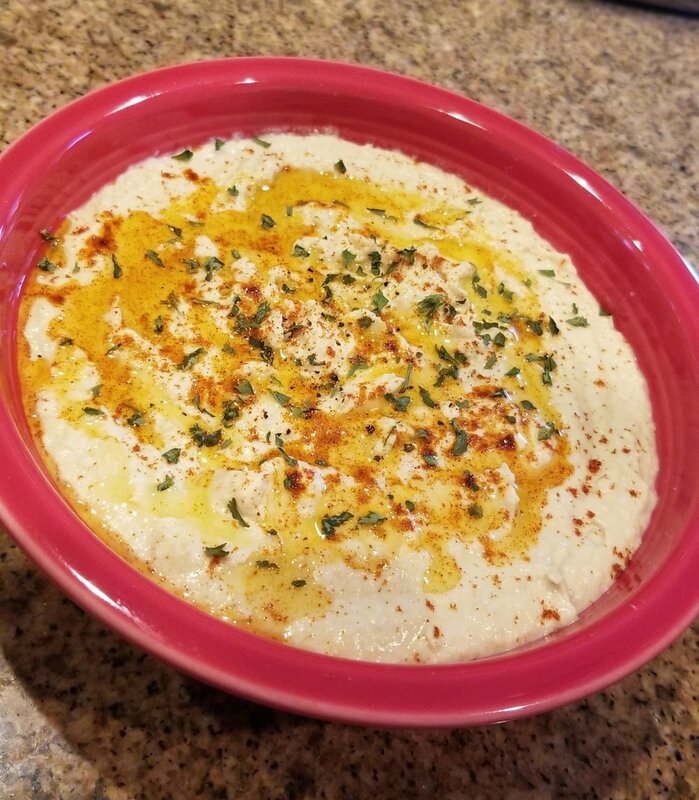 Within seconds I had a delicious, creamy, beautiful bowl of "homemade" hummus that was ready to devour! What a genius idea to put everything that goes into hummus except the beans into a little pouch! All I did to "finish this look" was garnish with a little paprika, olive oil and parsley and it was just GORGEOUS DAHLING! All ready to serve at my non-existent party guests! Welp, what'd you think? Likey?? I personally liked telling you about my FAV FIVE discoveries of the week! It's fun! Sometimes you just gotta let it out! Comment below with some of your current favorites!